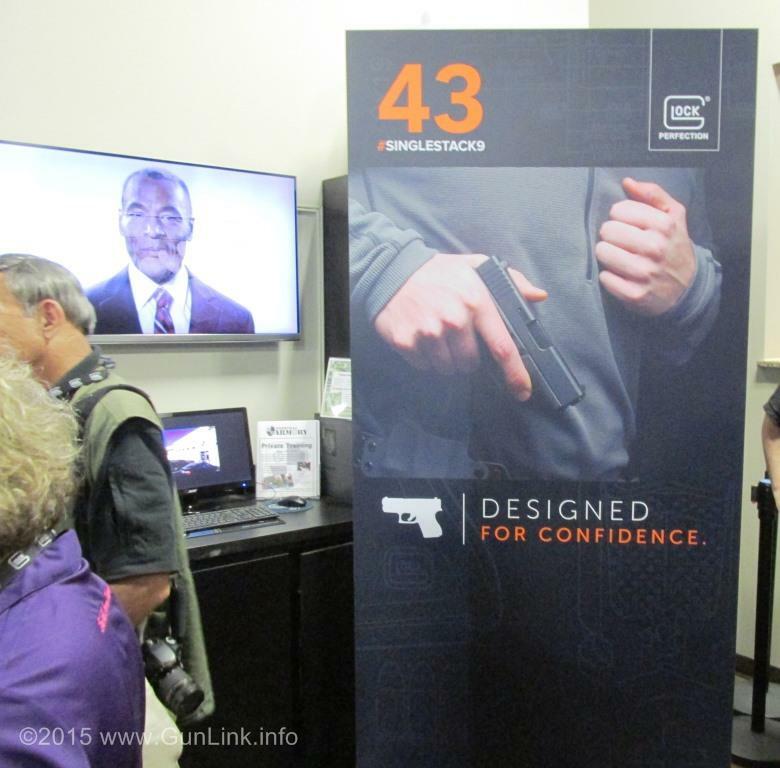 On the evening before opening day of the 2015 NRA Annual Meetings & Exhibits in Nashville, Tennessee – just weeks after the early rumors and official announcement – a small group of attendees was invited to the Nashville Armory for the official Glock 43 launch party. 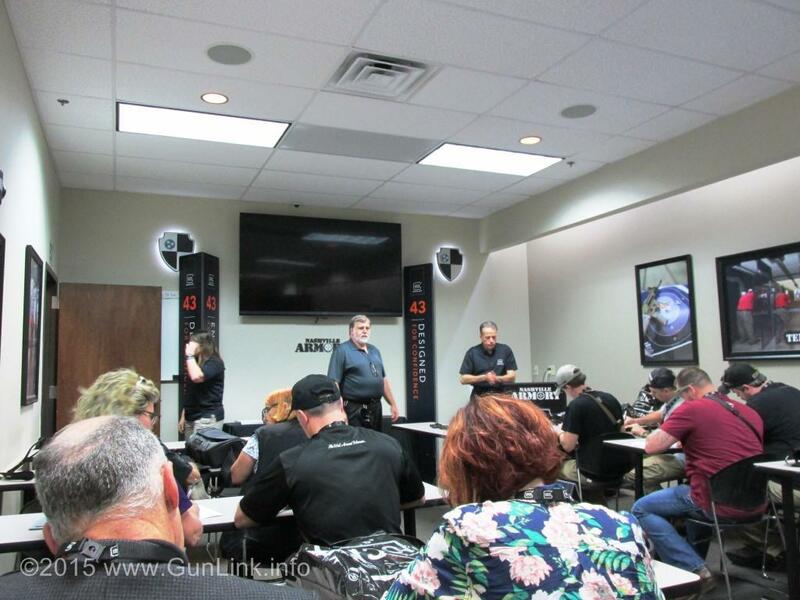 The GunLink team was among that group and we had a chance to see, handle, and shoot the new single-stack 9mm pistol before most people even see them show up at their gun shop. There isn’t much that can improve on shooting “free” ammo out of other people’s guns (and we took the opportunity to make two trips each through the firing queue with 3 mags on each round) – but being a brand-new pistol made it that much better. To be honest, I wasn’t expecting to be impressed. On paper, the specs didn’t seem that ground breaking. 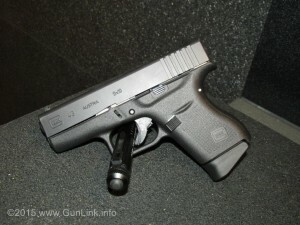 It has roughly the same profile as a double-stack G26, albeit thinner, but with a significantly reduced capacity (6+1). 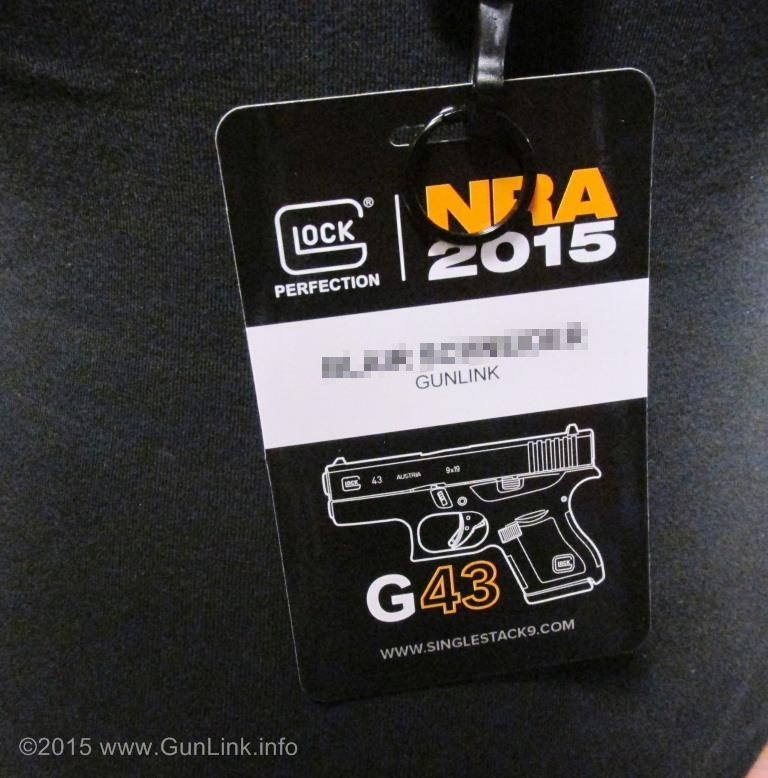 The Glock representative at the event referred to it as basically a “Glock 26 Slim” (see the comparison below, left-to-right: G42, G43, G26) It is too big for pocket carry but too small for a high round count and, I thought, too small to be comfortable to shoot. 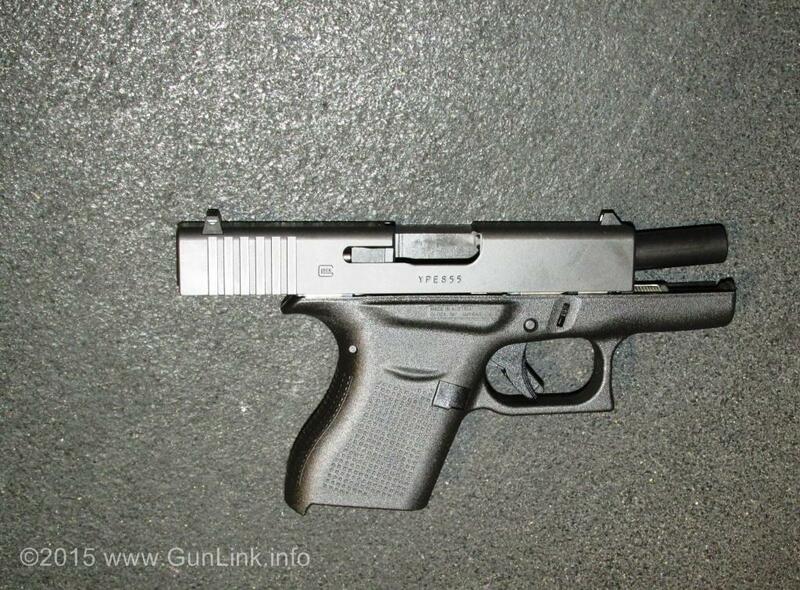 The G43 is a good example of why you cannot judge a book by its cover, or a pistol by its spec sheet. 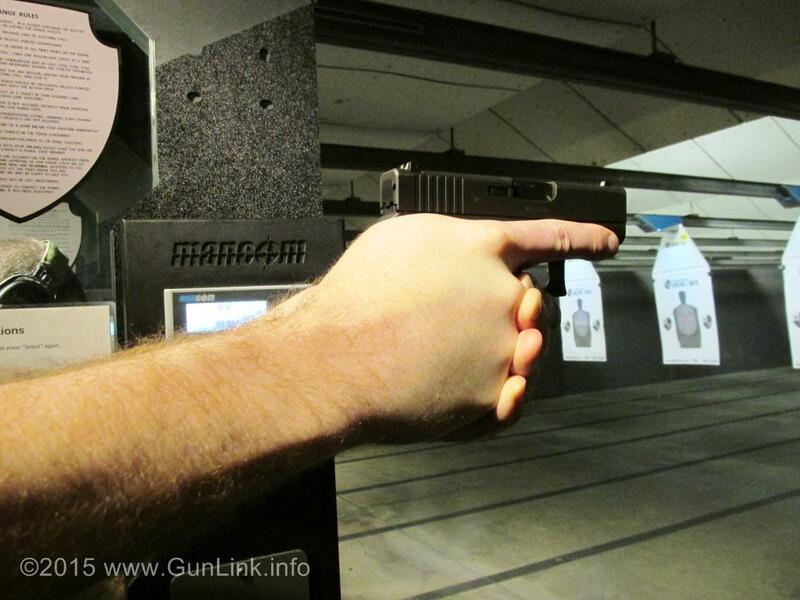 Even with my big mitts, the G43 did not feel like I was holding a toy. 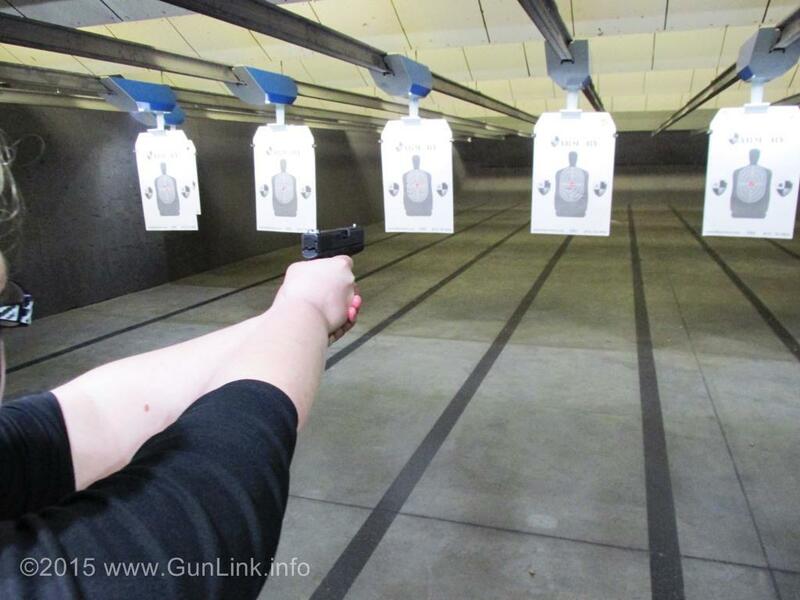 Our smaller-handed female shooter thought that it was a Goldilocks-style “just right” fit for her hand and liked the ergonomics much better than that of double-stack 9mm Glocks. The G43 ships with a flat-floorplate magazine that allows a two-finger grip and a pinky-extension magazine that affords a solid three-finger grip – both of us preferred shooting it with the pinky-rest. 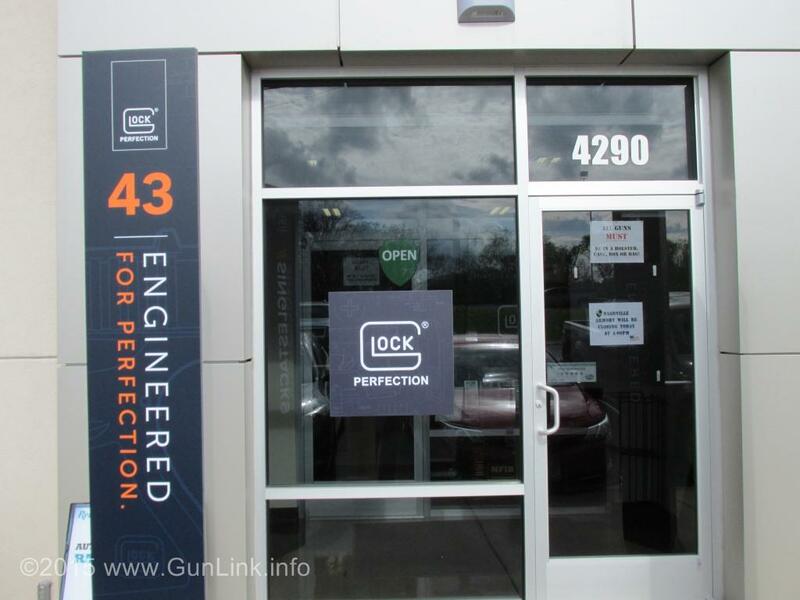 The controls are, of course, familiar to anyone who has shot Glocks before – which is to say that there aren’t many controls to speak of: slide stop/release, magazine release, take-down lever, and Safe-Action trigger. Our female shooter enjoyed the fact that the slide was easy to manipulate and even went as far as to say that it is among the easiest (if not the easiest) to work. 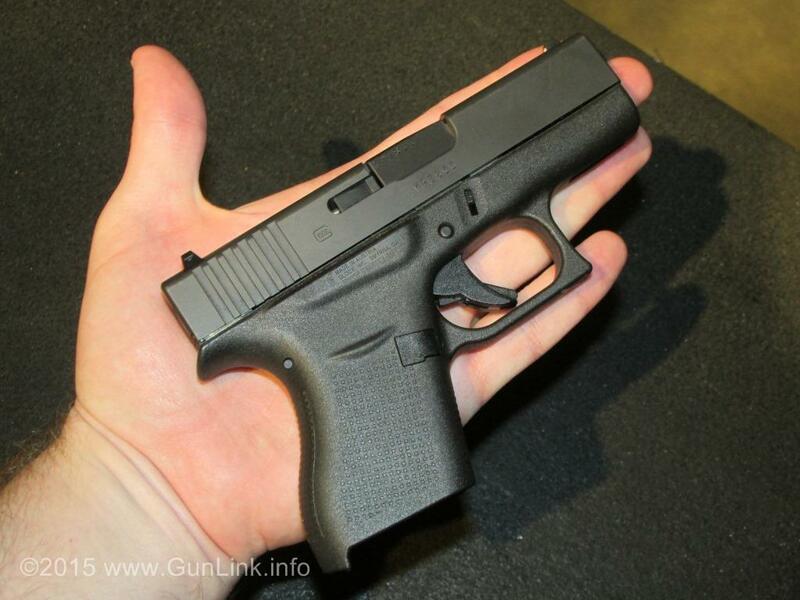 Despite its diminutive size, the G43 shot well and recoil was more than manageable (something helped by its approximately 21 oz loaded weight). 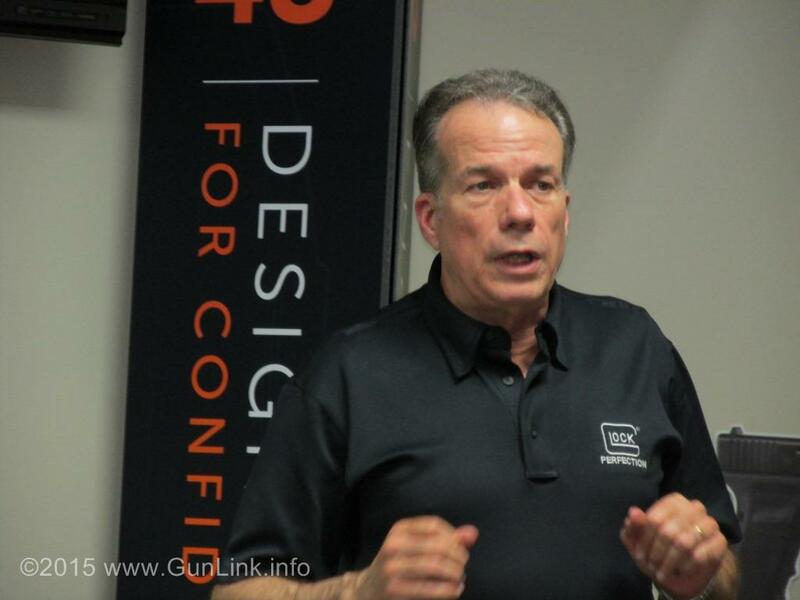 There was a slight learning curve for me on the slim design, as the thin grip allowed me to get a poor grip on it and I pulled a few shots – something I noticed from a few of the shooters. 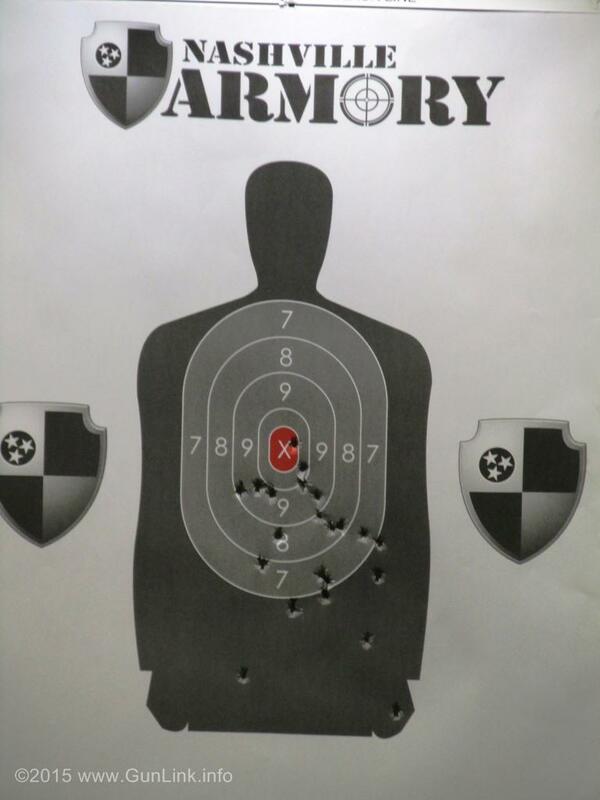 With hands that seemed purpose-built for the G43, our female shooter shot it exceptionally well out of the gate. 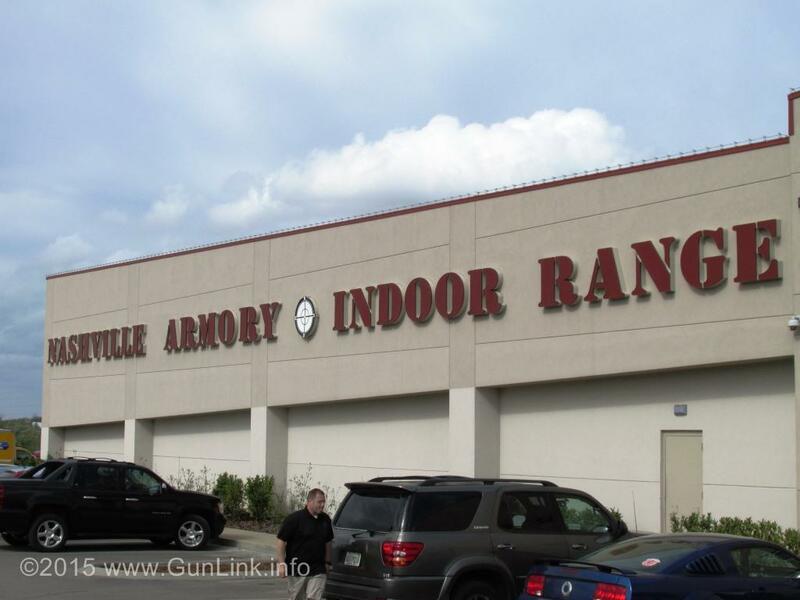 However, even when we were shooting well, we weren’t shooting nearly as well as some of the shooters at the range. 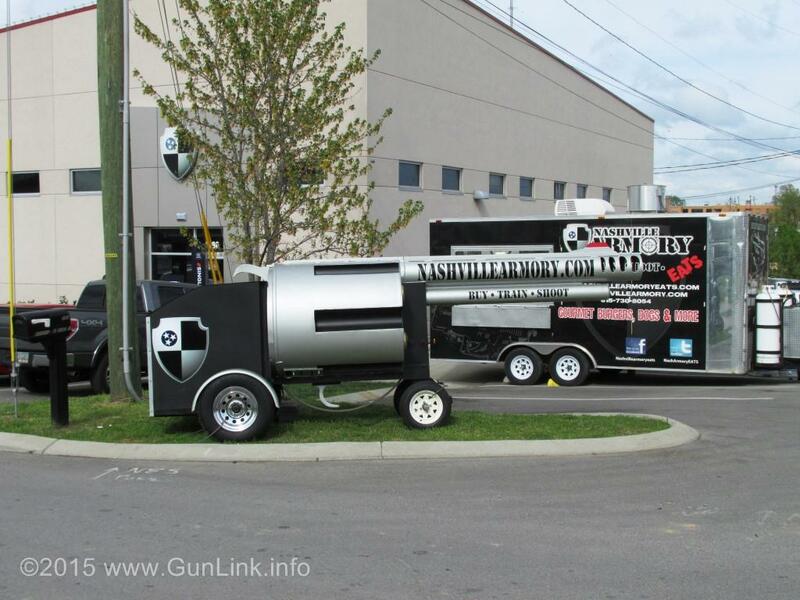 On our way out from the shooting lanes, I spotted a prime photo op showing that the pistol is a real shooter. 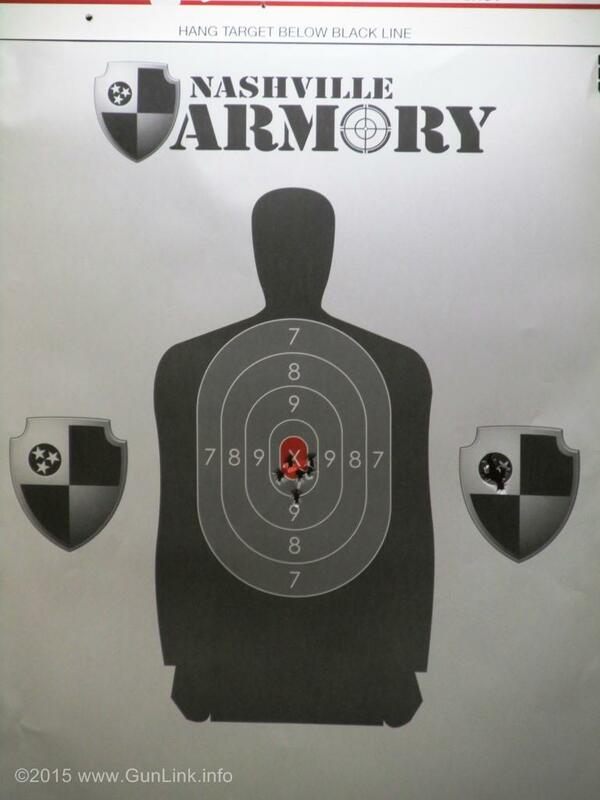 Check out Massad Ayoob’s target at left versus the target from the lane next to him at right. 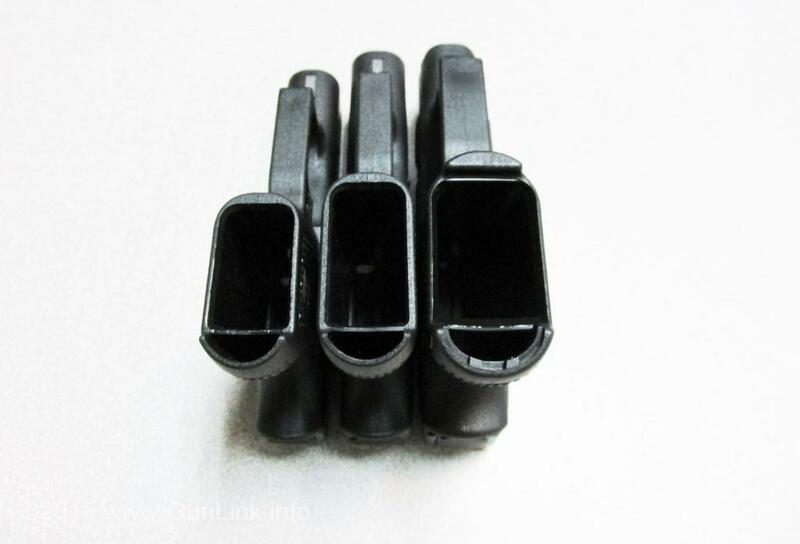 I was not wild about the 6+1 capacity and when the rep was explaining that the pinky-extension magazine does not allow for extra rounds, he mentioned that he didn’t think that it would be long before higher capacity aftermarket magazines were available. 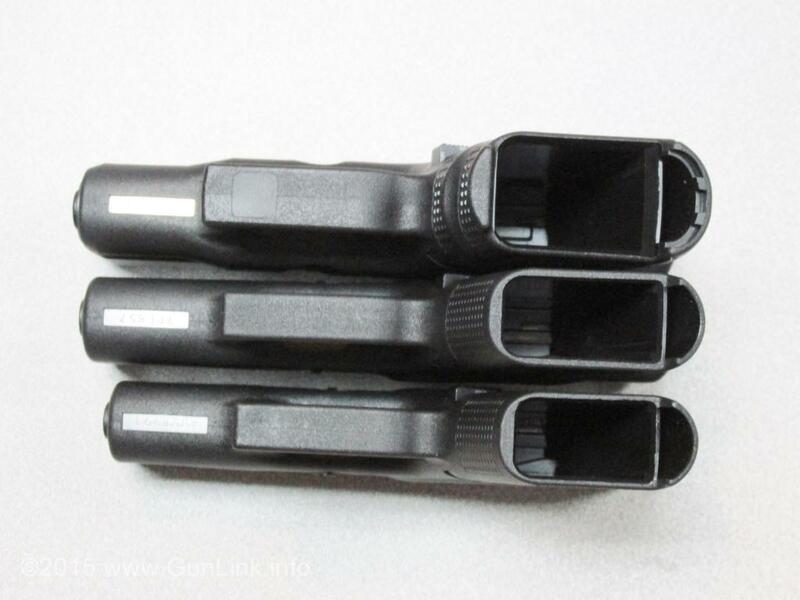 I don’t know if the rep had some inside info on magazines currently in development or if he was just guessing, but I got the impression that Glock didn’t plan on making larger OEM mags. 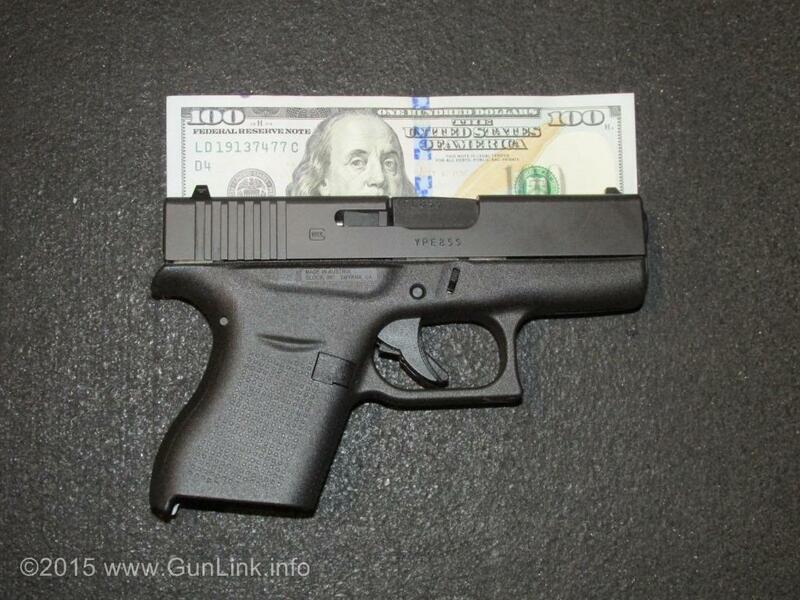 Being a single-stack though, the magazines are plenty thin that reloads could be comfortably carried IWB or in a pocket. 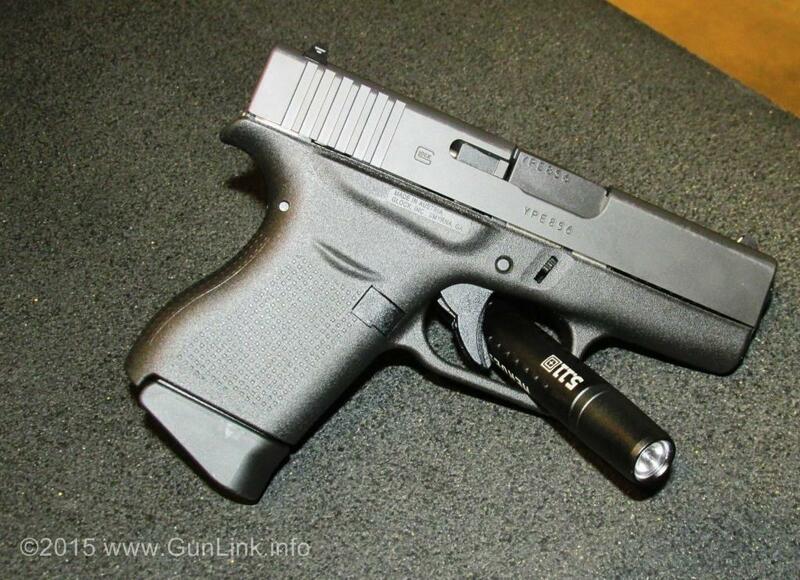 All in all, we ended up being impressed by the new Glock. A G19 finds itself in my carry rotation pretty often as it has plenty of capacity and it conceals well on me, especially in cooler months when garments allow for better concealment. 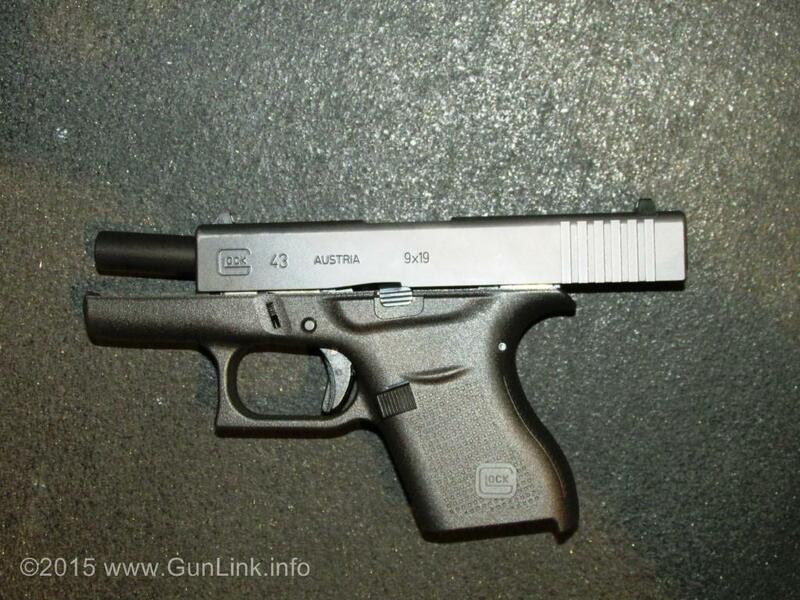 It seems to me that, given the similarity in the manual of arms and the Glock reputation, the new G43 would make a fine warm-weather CCW pistol or a all-season back-up gun. 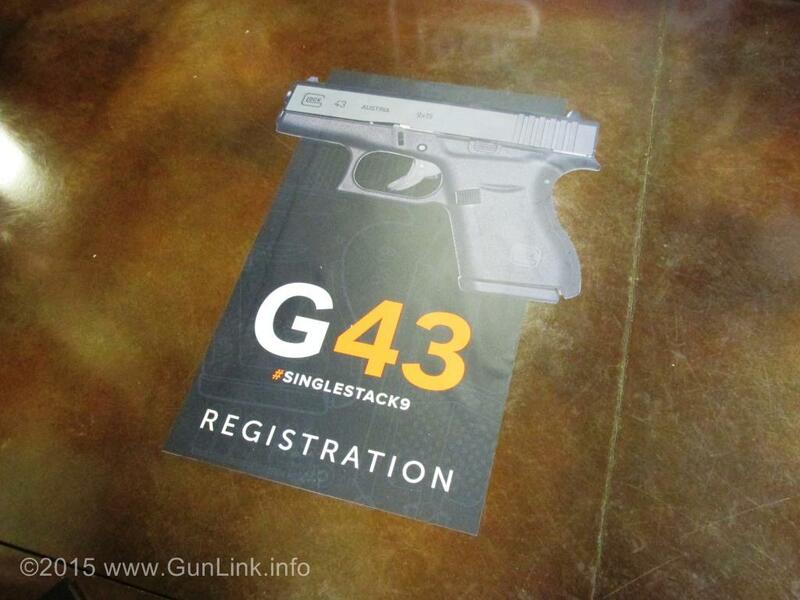 If and when the “AAAHHH – A NEW GUN” frenzy of the G43 wears off and the market stabilizes, one of them may just find its way into the GunLink CCW stable.